Brad Thomas and his Big League Xperience Baseball Camps provide the most comprehensive individualized instruction available in the game today. Big League Xperience Baseball Clinics provide the highest quality baseball instruction for players and coaches in the country. The ability to tap into the best coaches and players in Australian Baseball, mixed with years of professional experience have made these baseball clinics extremely successful. Xperienced Baseball clinic staff combines Major League Players, former and current professional players and coaches to bring to you an elite baseball experience. Big League Xperience Baseball Camps offer programs for both players and coaches. Players and coaches work with professional players on throwing, pitching, catching, fielding, hitting, base running, sliding and arm strengthening. Big League Xperience Baseball Camps are hosted by former Major Leaguer Brad Thomas, our Sydney native who joined the Los Angeles Dodgers after completing high school in 1995. Brad was the most sought after Australian baseballer in 1995, commanding offers from 15 MLB teams. 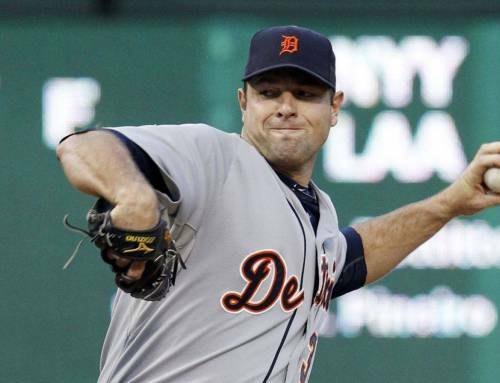 Brad debuted in the Major Leagues in 2001 with Minnesota Twins and over the course of 10 years Brad was traded to be a member of World Champion Boston Red Sox in 2004 and Seattle Mariners in 2007 before finishing with the Detroit Tigers in 2011. Since 2012, Brad has competed in Asian Professional Baseball, setting Save records for the past 2 years. Brad has earned an MLB World Series ring with 2004 World Champion Boston Red Sox and an Asian Championship with NPB Nippon Ham Fighters. Something no-one else has achieved. Brad was a baseball camp regular as a young boy growing up in Sydney baseball. However, there was never a Major Leaguer to learn from then. Now, Brad brings his Major League experience and 18 years of professional knowledge back to Australia to pass on to our next generation of professional baseball player hopefuls. Big League Xperience Baseball instructors are current and former MLB players and Milb Prospects. Setting this camp apart as Australia’s best investment in your child’s baseball future. We cover all aspects of Throwing, Pitching, Hitting, Fielding, Catching, Base Running, Sliding with MLB instruction. We provide the best training routines and pre-game routines. Day 1 is covering correct throwing, pitching and hitting techniques to the MLB level. We finish our second day with age group games, where we can instruct players in a “real world” environment. Day 2 more specific fundamental instruction, in-game instruction. To finish the camp, we will hose down the grass and teach MLB sliding techniques for some final fun. So don’t forget to pack a change of clothes. Awards will be presented to the most improved players at the end of day 2. A BBQ lunch will be provided, with a bottle of water each day. All participants will be presented with a Big League Xperience Baseball Camp T-shirt, which they are required to wear for the entirety of the camp AND a BlueSox game ticket for every participant. Big League Xperience is the best investment you can make in Your Childs baseball career. 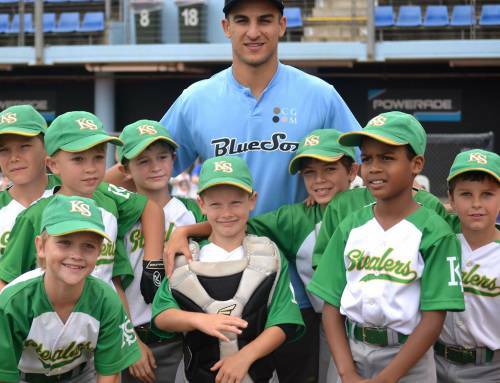 The Big League Xperience 2-Day School holiday baseball camp is $120.